So, when I got married I pledged a little alliance to myself: Dress grown-up, dress appropriately for your age (some twenty-something) and don’t dress like your teenage self. Band Tee - Denim Cut offs - Converse - Happiness. I remember the final visit to church before we married - I especially wore my most grown-up skirt in my wardrobe (Elle), and demure white blouse. I wanted to make a good impression, God, I needed to. Clothing has a way of being able to tell a story, project an impression and above all define someone. I’m not saying it’s a dead certain deal breaker, but as a woman who has had many closet fall outs, and far too many impulse purchases, I think I might have got this one sussed. Or so I like to convince myself. Basically, for around three weeks into 'Mrs' territory, I dressed in my most refined M&S, Zara and the like. It felt sophisticated, especially this day… about to embark on a (very grown-up) wine tour in Hawkes Bay, NZ. I even gave away half my suitcase before we returned home last year. I had finally shaken off the insecurities around clothing and started buying and dressing differently. 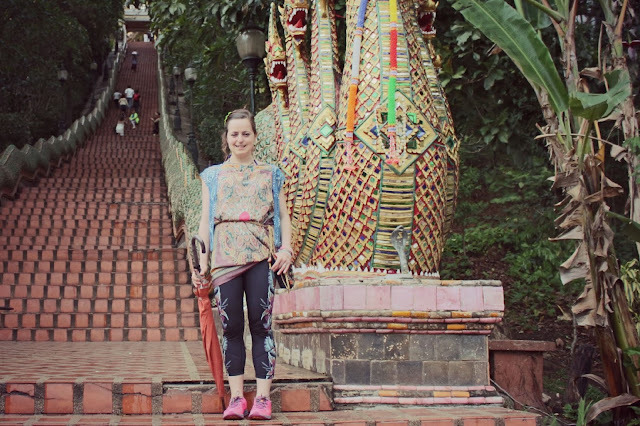 And then I went to Thailand, and all hell let loose in my suitcase. I opted to dress exactly as desired, often a miss-match of my favourite clothes all at once. I braved sportswear, oriental inspired kaftans and swimwear all at once – and darn I wasn’t even at the beach some days! But, you know what it felt good, ridiculously good. I once had a friend who would come to college (usually in the depths of UK winter), in flip flops and a bikini, of course her bikini was covered up – but the principal behind it was mind boggling at the time. But, she was passionate about wearing her heart on her sleeve, and I look back at her now and think that’s probably where I get my love for bikinis and other beautiful swimwear from. 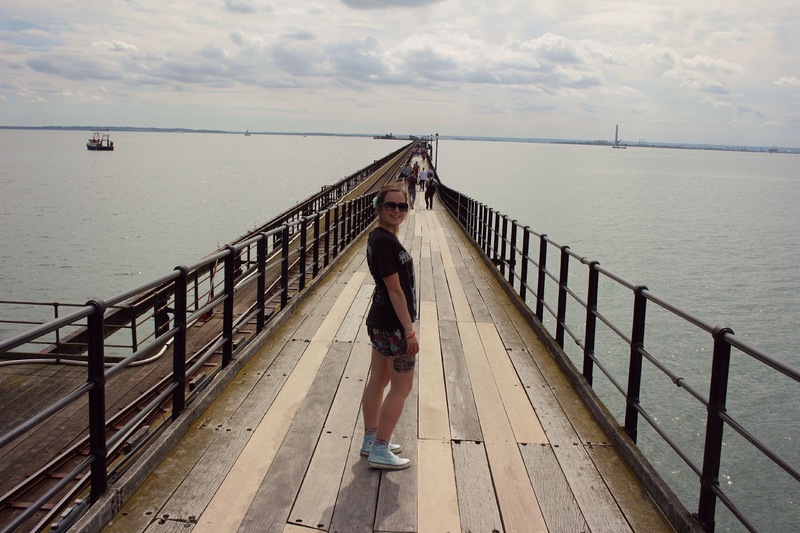 When we went to Southend-on-Sea over the August Bank Holiday, I could feel myself ridiculously excited to dress exactly as I desired. I wore a pair of denim shorts, my favourite band t-shirt (Fleetwood Mac) and my newly acquired blue converse. Yes, Converse! I didn’t think I would ever see myself (not Mrs Taylor) in Converse again. Probably because the last time I wore Converse I was sixteen years old, and covered in black eye liner and Billy Joe Armstrong was my idol. But, the best part of it is, I thoroughly enjoyed wearing my Converse. I guess, it’s time to embrace what makes me happy – and loosen those rules (okay blatantly, lets just forget them). Because, if I’m still rockin’ Converse at 90, then I think that would be pretty cool. Plus, from one Taylor (Chuck) to another, it’s a pretty fine thing. I do love that dress but you look so happy in that top photo! Hell yes! Don't dress in a way you think you should but in a way you love! The dress you're wearing is very pretty but if you don't love it and feel amazing in it then what's the point? I'm so glad you've come full circle. I like to dress to what in my mind is 'appropriate' but this is because I don't want to wear anything inappropriate. But this rule if mine is based on what I feel is appropriate. I'm 40 and still wear converse. I hardly ever wear 'smart' clothes, choosing things that I feel great in instead. Some days this is cosy and comfortable attire, others it's pretty in a dress and cardigan, but no matter what it is I chuck on my body, it'll be something I adore. What you wear is an indication of who you are. You have a lovely personality Alice, let it shine through! Our clothing choices is reflected in us!